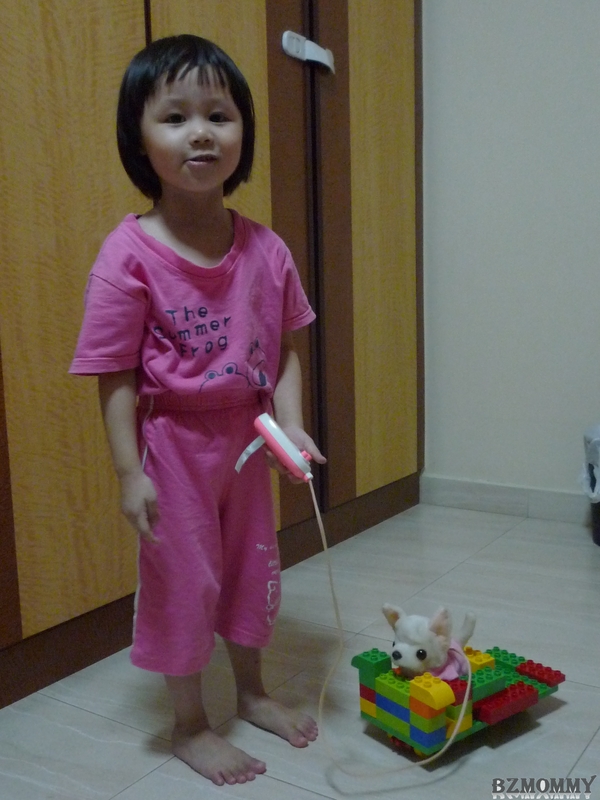 Not a pet dog, but a toy dog which my sis bought for her when she went to Japan last year. Together with my dad, they built a car for the dog to sit in. Great imagination! Lucky dog or poor dog? haha! look at her “ya ya” face, man!